Build your own creative LEGO rescue vehicle and upload a photo of your awesome creation at shoplegomovie2.com for a chance to win the LEGO MOVIE 2 Mission: Imagination Photo Contest. You could win a family trip to LEGOLAND Florida Resort to experience the new THE LEGO MOVIE WORLD. 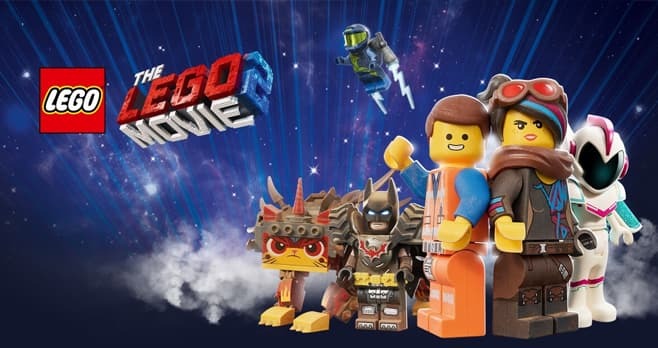 The LEGO MOVIE 2 Mission: Imagination Photo Contest is open only to legal residents of the (50) U.S. and D.C., who are age 13 or older as of date of entry (entrants 18 or older must have a valid U.S. driver’s license or government issued ID). The Sweepstakes begins at 12:01am ET on January 15, 2019 and ends at 11:59pm ET on February 28, 2019. Maximum of one entry per person per day, regardless of method of entry. The grand prize consists of a trip for four (4) for the winner and up to (3) guests to LEGOLAND Florida Resort to experience the new THE LEGO MOVIE WORLD. Visit shoplegomovie2.com to enter and see Official Rules for details.